I’m sure you’ve seen this on the internet or in your mail before. It’s been circling cyberspace in recent years. But I thought it so funny that I had to include it here. My apologies to our lovely lady readers. But after reading this you must admit it is worth the laugh. After all, laugher is the best medicine. 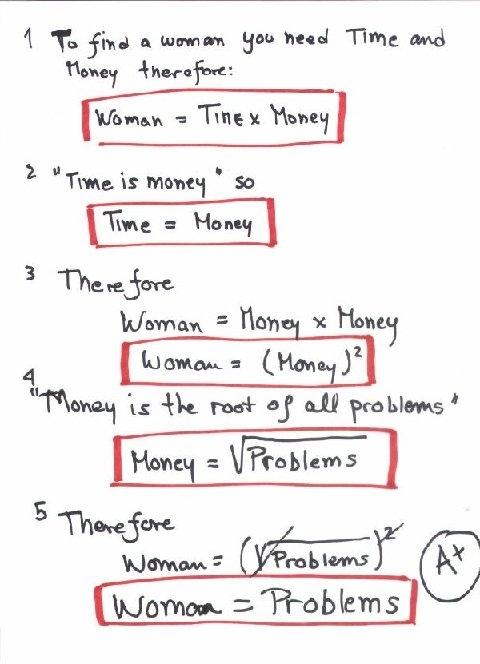 By the way, you could probably apply the same formula to men.